Without further ado, here is the quick list of the top three dating sites in Singapore. I’ll go into more detail in my reviews below. SingaporeLoveLinks.com is the best online dating site in Singapore. If I only had money to spend on one site, this is the site that I would spend it on. If you do a search of women between the ages of 18 and 35 who have been active on the site within the 3 months, you will find over 1000 active profiles. SingaporeLoveLinks.com is run by one of my most favorite online dating companies, Cupid Media. Cupid Media owns sites that I’ve used in the past like Afrointroductions.com and BrazilCupid.com, when I was living in Africa and Brazil, respectively. Most of the members of SingaporeLoveLinks are actually from Singapore, and as a member of the well-established Cupid Media Network, the website itself is easy to use, and the features are top-notch. To sign up, either link your Facebook account or enter your name, gender, password and email. Finish up by sharing a bit about yourself and what you’re looking for in an ideal match. Now you’re free to browse other members! Occasionally the site will ask you for more information in your profile in order to carry on browsing or searching. 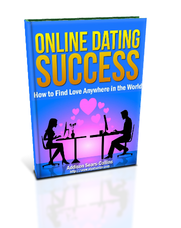 You have two choices when looking for a potential match: searching and browsing. Searches can be narrowed down by age, location, education, lifestyle choices (smoking, drinking, etc. ), religion, and more. Browsing is of profiles that SingaporeLoveLinks has recommended for you and is highly flexible, with customizable criteria and different options for viewing and sorting. Standard members on SingaporeLoveLinks can visit each other’s profiles, add each other to their Favorites, and send each other “interest” and messages. These messages are blocked however, and can only be read once one or the other decides to upgrade to a Gold or Platinum plan. As a standard member, you are able to communicate freely with premium members, but unfortunately SingaporeLoveLinks makes it difficult to do this, only showing 1-2 Gold or Platinum profiles for every page of browsing. So if you want to do more than non-verbally flirt with other Standard members, or wait around for the premium member, your best option of finding a compatible match is to upgrade to a premium membership, and access their perks: IM, audio and video chat to whomever you like. SingaporeLoveLinks’s video messaging features are some of the best I’ve come across in my explorations through the world of online dating. First off, there is live video messaging, a potent tool for vetting potential matches for compatibility before deciding to move the relationship forward. Second, there is the option to send video messages, which, if you do them right, tend to get way more, and way better, responses than what a simple text message would receive. Finally, you can even upload a personal video message to your profile, for other members to watch when they visit. Some may see it as too much work, but I loved the opportunity to leave such a personalized message. Also run by Cupid Media, AsianDating.com has a decent following in Singapore but not near as large as the site above. It is still worth at least setting up a free profile and browsing profiles to see if you can find someone who strikes your interest. 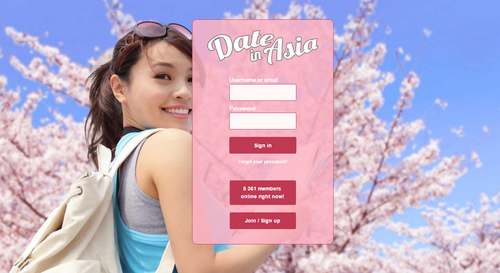 The benefit of signing up for AsianDating.com is that it has a lot of members in the Philippines, Thailand, Malaysia, and Indonesia. 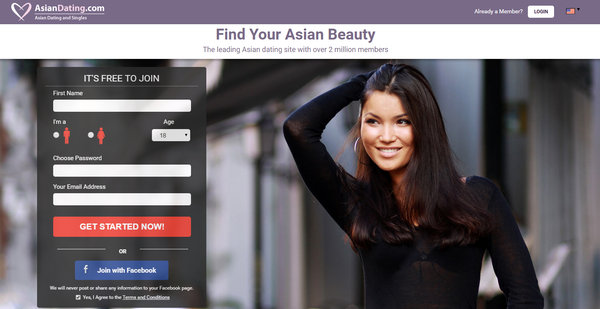 You can check out my review of the best dating sites in Malaysia for my full write-up on Asiandating.com. I know a lot of friends who love this site because it is free, has a lot of members, and they’ve had success with it. I find the quality on DateInAsia pretty poor, and the number of women looking for “clients” seems high. If you prefer a free dating site though, this is an ideal site for you. The benefit of this site is that it has a lot of members, and, if you work hard enough, you are virtually guaranteed to come away with some contacts. However, at the end of the day, you get what you pay for. You will have to spend a lot of time weeding through low quality profiles.